In our earlier mails to India Vision Group, we have been writing about the large scale negative vibrations in like cynicism, skepticism spreading among youth due to various factors. We also see many arm-chair suggestions and cynical comments through social media. Such phenomenon will set a dangerous trend and our youth may lose confidence on the system itself. They may also lose self-confidence and self-esteem. There are many good things happen around us silently. But only bad things are highlighted as if it is the way of life. Cynical and negative attitude spoils the health of the people. All positive approach and positive vibrations make everybody happy and healthy. As you know wikipedia is a website that can be edited by anybody in the world. Every one can edit/alter the data or information in the articles. But no vandalism happens. All of us look at Wikipedia for our reference with more credibility. A couple of years back, I met Mr Jimmy Wales, the Founder of Wikipedia. I asked him one question. "Now wikipedia can be edited by anybody in the world, how is that the people do not vandalise the wikipedia to provide wrong information". Immediately, he replied to me saying, "The world is full of good people. If somebody vandalises in one part of the world, another person in another part puts it right. Wikipedia is the example of existence of good people". That reply made me to think a lot. Same way, lot of people do good job in India. They do not make a noise. They do not get highlighted. They keep the wheels of our nation moving. They are the real UnSung Heroes. After reading the book 'Wings of Fire' by Dr Abdul Kalam, Mr Natarajan, an engineering student few years back thought, if people can spare 2 hours a week (even if they are employed), they can make a great change. He immediately formed a group with his friends and named this group as 'Dream India' on this basis. Now around 600 professionals are part of this group from across the nation. They spare few hours during the week ends in various social activities physically. They make a large difference. 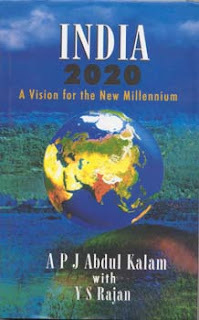 Dream India is one of the partner organisations of Action 2020 and they are also members of this group. Taking cue from the experience of Dream India, we thought, why not we gather the information of the people who are willing to offer 2 hours per week for the society. That means 2 hours out of 168 hours in a week. In other words nearly 100 quality hours in a year, out of 8760 hours. Please imagine, how much of quality hours, we would have spent to make our nation great. This 2 hours can be spent in an useful manner as decided by the concerned volunteer or his own team. There is no compulsion. We want to publish such success stories in the India vision group and also in the ezine in future. Those members, who are willing to 'spare 2 hours a week', may kindly share their details with us through the following link. Some people may be doing on their own either singly or jointly with others. We request them also to share their details. o hierarchy. Like minded people can be of support to each other. There is no age limit for joining this movement. Every one of us are capable of contributing something to this nation in our own humble way. Full time NGOs and full time social workers need not give the details. This is meant only for the employed people, students, house wives, retired people, who are willing to spare two hours a week. Imagine a situation, if 1000 people spare two hours a week individually, what an amount of constructive work that we will be doing for the growth of our nation. Please also imagine, how much of productive hours, we waste in different ways. We can carve out two hours from the wasted hours and spend more usefully. Interested persons, who willing to be part of this movement, may kindly share their details before 20th May 2012. The coordinators will get in touch with you directly. Pl go to the link for registering your willingness. You can also give your ideas to improve further through this form itself. Please also share this link with like minded people.